Whether you’re considering live in care services for yourself or a loved one or you’re a carer looking for live in care jobs, Live In Carer aims to provide you with the honest, impartial advice you need to simplify the subject. An introduction to live in care, what is is and how it works. Find out how to fund live in care and how much it will cost. Want to work as a live in carer in the UK and don’t know where to start? Not sure where to start? Speak to an advisor for free, impartial advice on your care needs. Find out more about live in care and hiring a live in carer in our articles section. What is live in care & how does it work? A look at the advantages and disadvantages of live in care services vs alternatives such as care homes and hourly care. I’m worried about costs, how can I fund a live in care, what options are available? How do care homes compare with live in care services in terms of advantages, disadvantages and costs. Whats the difference between agencies & providers and which is the best option for me? The options & the risks when hiring a live in carer. An introduction to live in care, what is is and how it works. For personal advice, call us to discuss your requirements. What is live in care and how does it work? Live in care is a type of homecare service where the carer lives in the home of the person being cared for, providing them with ’round the clock’, 24 hour care. Who is live in care suitable for? Live in care is most often seen as an alternative to a residential care home so is most suitable for people with a high level of non-medical care needs such as mobility issues or advanced dementia. Elderly people are the most common recipients of live in care however anyone with a high level care need can benefit. Adults with complex disabilities and children with conditions which require a high level of care support often employ the services of a live in carer. Short term or permanent care? Contracts for live in carers typically fall into two categories. Permanent full time care- where the care need is ongoing and the carer is positioned in the person being cared fora home as a permanent solution. Short term “respite” care most often used to provide a break in care for unpaid carers such as family members who regularly provide the care. A common example being a family who look after an elderly relative and require cover for a holiday, or a person who requires care for a short period while recovering from an injury or illness. The main advantage of having a full time carer living in the home is that the person being cared for does not need to leave their home and move to a residential care home. Because a live in carer is assigned to care for just one person, or in some cases a couple who live together, it is often assumed that the person receives a more personal and higher standard of care and attention. Live in carers are not suitable for people of all need types. Persons with conditions whom require specialist round the clock medical care will usually be better suited to a residential nursing home environment. Those with advanced dementia which manifests in violent behaviour may also not be suited to having a carer live in their home. There is also the issue that live in care arrangements can require more work at the outset than a care home, as a result most hospital discharge referrals into the community are still made to care homes, whereas the person requiring care may be well suited to care in their own home. Duties & Responsibilities – What does a live in carer actually do? Live in carers roles are unique in that their duties involve both personal care and care around the home itself. There is no set job description as every person requiring care and every routine is different. Perhaps the closest comparison can be drawn with the role that a family member or spouse would fill when living at home with the person requiring care. A live in carer will be responsible for cooking, personal care, general upkeep of the home and important tasks like ensuring correct medication is being taken. On a personal level carers and their clients have close living relationships, providing companionship and friendship, often to people who may not have close family or friends. Find out how to fund live in care and how much it will cost. For personal advice, call us to discuss your requirements. Typically live in care costs from £700-£1100/ week when offered by a private provider or agency. Some families opt to hire carers themselves through sites like Gumtree, hiring and paying carers directly in this way may significantly reduce costs, but it also puts the onus on the family to properly vett and manage the live in carer. While these costs can seem expensive if you have just started looking at care arrangements, they are not out of line with costs you can expect to pay for full time care in a residential care home. Although of course care home costs are “all-inclusive” in the sense expenses like food and lodging are included in the headline cost, whereas live in care arrangements are still subject to the cost of any rent or mortgage payments, bills, council tax and food. When working out costings of live in care arrangements all these factors need to be included, not just the headline cost of care. Our advisors can help you better understand the cost of live in care. Start a live chat with us to discuss your requirements. How do I fund live in care? Various funding options are available to help towards the cost of live in care and these will vary between local authority areas. Generally the same level of funding should be available to pay for care in the home as a person would be eligible to receive for residential care. Start a live chat with one of our advisors to discuss the options available to you. 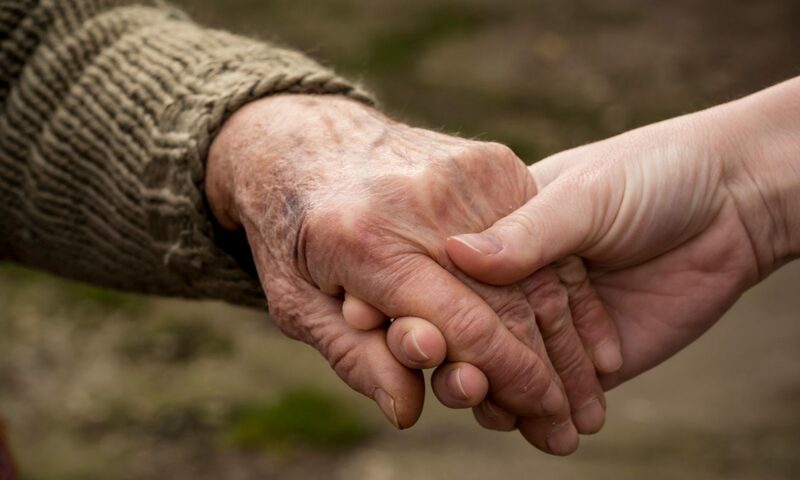 An introduction to live in care services and how to start looking for care for a loved one. For personal advice, call us to discuss your requirements. How does live in Care work for couples? In some cases carers may live in the family home with couples whom both have care needs, or when one partner is unable to meet the care needs of the other. Can carers offer medical & nursing care? Generally live in care is not suitable for people with round the clock nursing needs in a medical sense. However many people who may think they need a live in nurse actually find that a carer can fulfil many of the non-medical duties of a private nurse and home visits from community nurses can sufficiently cover the actual medical requirements of the person needing care. Every case is different and ultimately the decision about the best care path for your lives one will depend on their unique needs which should be discussed in consultation with the medical team and social services working that persons case. We can provide general, non-medical advice on how to approach care arrangements which require a nursing element, please contact us to discuss your individual requirements. We would urge anyone considering using a private care provider or agency to consult the relevant regulatory body in your country to review their latest inspection report. Similarly if you are applying for a role as a live in carer it would be strongly recommended to also familiarise yourself with the inspection report, ion particular the sections about staffing and support for staff. There was a time when the hospital discharge procedure for elderly patients would invariably result in a care plan which saw them heading to a care home, but slowly hospitals and social services are becoming more open to discharging patients back to their own homes with a live in carer. If your loved one is in hospital and likely to require ongoing support after discharge you can talk to the person in charge of their care about the option of live in care at home. Want to work as a live in carer? Want to work as a live in carer in the UK and don’t know where to start? For personal recruitment advice, call us to discuss your requirements. Thats great! This industry always needs more hard working, compassionate people like you to work as carers. You’ll be entering a profession with a unique set of rewards and challenges. Live in care work is by its nature intense. At times stressful, at times hugely enjoyable and at times…boring. But you’ll be making a huge difference to the lives of the people you care for and their families. Generally you’ll be compensated with better pay than in other jobs in the care industry, although this does of course vary between roles and employers. I’ve applied for a live in care job – what interview questions will I be asked? This will vary from employer to employer but expect to be asked questions about your experience of caring for others, either in paid or unpaid roles. How you might deal with difficult situations with clients and questions about your circumstances to see how well you will cope with the practicalities and stresses of the job. Please note that this situation may be subject to change with the UK’s proposed exiting from the European Union in 2019, however for the time being any person from an EU country can come to work in the UK as a live in carer. You do not necessarily need to have work lined up before you arrive, although many care providers do recruit directly from overseas. In fact a large proportion of live in carers working in the UK are from overseas. Many carers from non-EU countries also come to the UK to work in live in care roles. In these cases you will need a visa in order to work in the UK. The Government has a useful tool on the gov.uk website for checking your visa requirements. What is it like to work as a live in carer? Your experience working as a live in carer is likely to depend heavily on your employers and on the client you are caring for. Many people who require live in care are suffering with complex conditions such as dementia which can be challenging and your employer should ensure you are suitably trained in dealing with them on a practical and emotional level. The work can also be very rewarding, you may form close friendships with the people you care for, and you’ll be providing a hugely important service for their families who rely on you to care for their relative. Although living in someone else’s home and providing round the clock care is intensive, many carers are able to work their lifestyle around the unique shift patterns this role offers. Carers have been know to use their downtime and time off to study, travel, visit family at home or in some cases work a second job. Will I be employed or self employed? This will vary depending on who you are working for. Managed care providers usually employ their carers directly as a full member of staff which means they also fall under the regulation of the relevant regulatory body (the CQC in England for example). As these jobs offer more security and support the selection criteria for carers is usually higher. Experienced carers are in high demand. Care agencies typically recruit carers and place them in roles but do not employ carers directly, instead the carer is self employed. If you find roles directly with people advertising for live in carers on sites like gumtree chances are again these will be self employed positions. Self employment has advantages and disadvantages and you should understand these before you decide to go down this route. You will be responsible for your own accounts and tax returns (self assessment). And you’re unlikely to get other in-work benefits like sick pay, holiday or maternity pay. But you may earn slightly more and be able to claim for expenses such as travel which an employer might not otherwise cover.